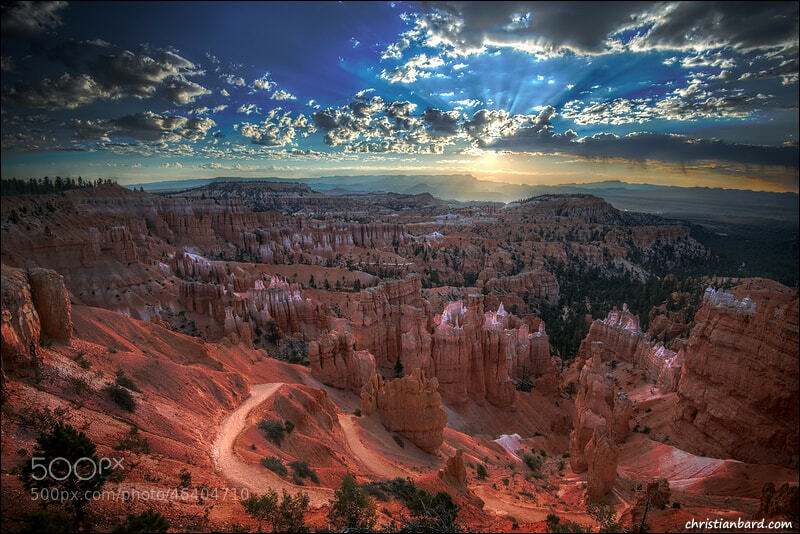 I especially like this image of the light over Bryce. The contrast from the clouded sky with the fading light shining through over-watching the trail below, is truly a masterpiece of photography. I think that to capture an image as epic as this, one has to have take a lot of photos, and has to get pretty lucky as well. To get the light to showcase Bryce that way is just beautiful and rare. The pathway leading to the bottom adds perspective and frames the image even better in my opinion. It shows you the vast amphitheater that is before you, while simultaneously highlighting the simplicity of the rugged path. Simply a beautiful image.